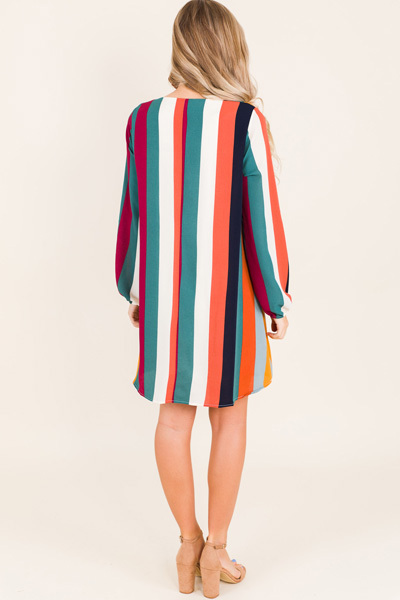 Your classic every day shift dress with bold multi colored stripes, perfect for the fall. The crepe material keeps it breezy, ideal for transition weather. 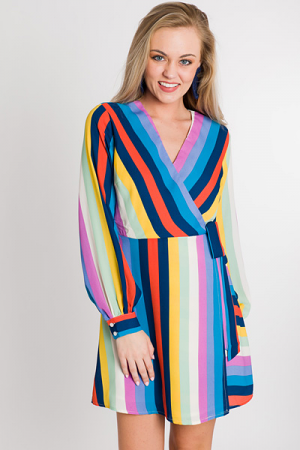 Dress is fully lined and features and V neckline and elastic at the wrists. Fit is true to size, if not a bit roomy. 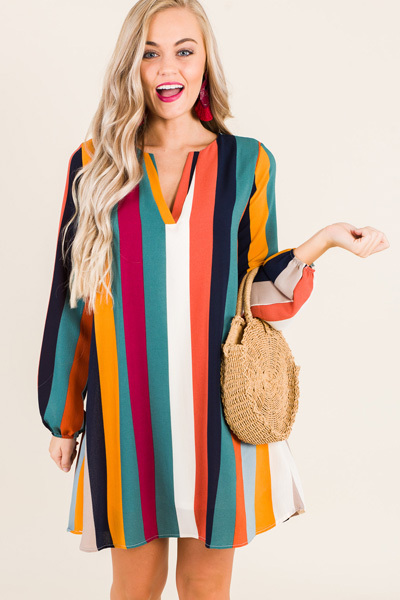 Model is wearing a small.